Once you place your order, we generally ship anything that's in stock within a 2-3 business day window. You probably don't consider Saturdays, Sundays, and holidays "business days" and neither do we. If you're placing an order for one thing, and that one thing is not in stock, we'll let you know if we'll need to ship outside that window we talked about above. If you're ordering more than one thing and one of the things is not in stock, we'll look at when we're getting it back in. That will most likely be soon and if it is, we'll hold your order until we get it all in stock. If it may take a little longer for some reason, we will probably send your order in two packages because we really want to see you looking your best in your new tee as soon as possible. Everything is packed while listening to a great record, and shipped from beautiful Phoenix, Arizona. In the United States we ship for a flat fee of $5 via USPS First Class. Any additional Tees with be another $3 per tee. Internationally we ship through the United States Post Office. We are not able to guarantee specific delivery dates. recordstoretees.com ships international orders via United States Post Office to the following countries and territories - Argentina, Australia, Canada, France, Germany, Ireland, Italy, Japan, Mexico, Netherlands, Spain, Sweden, and United Kingdom. International customers may be subject to import duties and taxes which are levied once a shipment reaches your country. Additional charges for customs clearance must be borne by you; we have no control over these charges and cannot predict what they may be. Customs policies vary widely from country to country; you should contact your local customs office for further information. Additionally, when ordering from recordstoretees.com, you are considered the importer of the item and must comply with all laws and regulations of the country in which you are receiving the goods. Please note that not all items listed on recordstoretees.com are available for international shipping. We cannot make exchanges via recordstoretees.com. recordstoretees.com will gladly accept returns on any item in its original condition within 30 days of the purchase date for a full refund less the shipping costs. recordstoretees.com does not accept returns of any worn garments. With ANY return/issue with an item purchased on-line, please e-mail us at: recordstoretees@gmail.com to make return arrangements. Please take care when packing the product for return. rescordstoretees.com does not accept orders placed over the phone or via the mail. rescordstoretees.com does not accept checks or money orders. Orders shipping to outside the United States may be subject to international import fees, taxes, or tarries which are levied once a shipment reaches your country – recordstoretees.com is not responsible in the case that additional charges apply. Customs policies vary widely from country to country; please contact your local customs office for information. We are looking to expand our roster of tees. 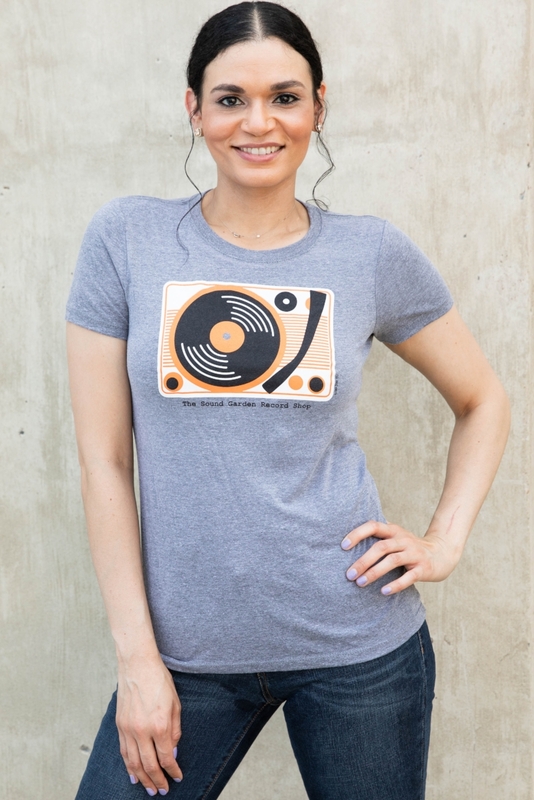 Help us fill the world with badass record store tees. We print the tees and you get paid for every tee sold.